We have all heard about primers but have you heard of a sprayable face primer? I think now in 2015 we have all heard of primers and we all use them in our daily makeup routines. In the past year i came across a new form of primers which are sprayable be it from brands like Smashbox, Freedom Makeup, etc. it’s safe to say they have really caught my interest. What excited me the most was before last year I had never heard of primer that was sprayable for me, all I knew was it was either a cream/gel that’s either feels like silicone whereas this primer by Skindinavia is completely different from anything I’ve ever tried. The Makeup Primer Spray comes in a 118 ml bottle which Skindinavia says will last around 90 days and considering that there is nearly 4 times the amount of product in this than your regular 30 ml or so tube. 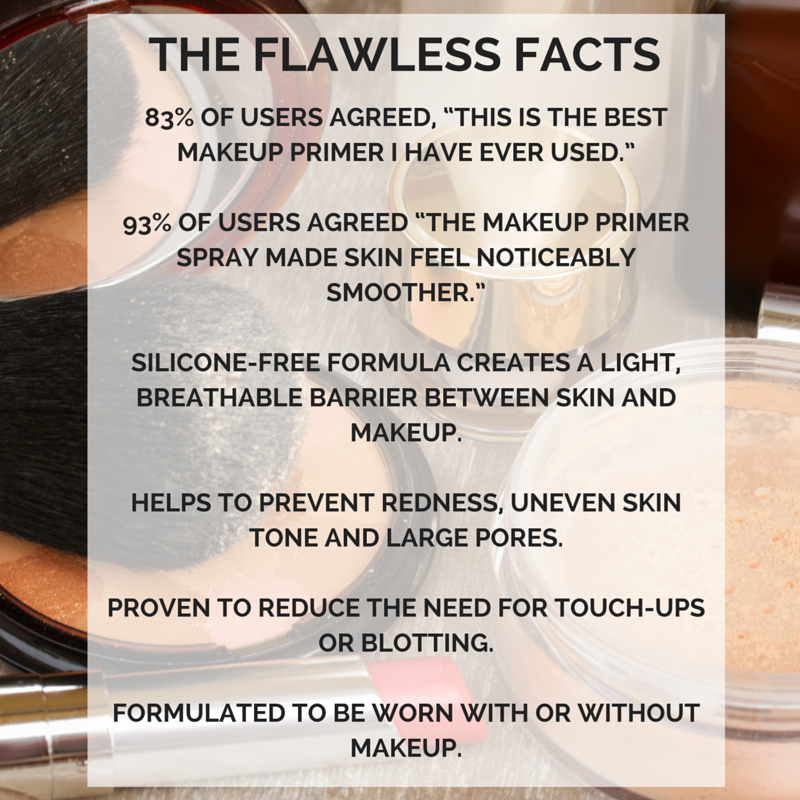 What I think people will love most about The Makeup Primer Spray is that it contains no silicones it comes out in a fine mist which is a vitamin based and proven to reduce redness, diminish the appearance of pores and is best of all it’s for all skin types although there is an Oil Control version of it. The wear you get out of The Makeup Primer Spray is incredible being a spray i was rather skeptical that this was another one of those “it says it works but it doesn’t” I was really surprised when makeup lasted upwards of 7-8 hours and there were no touch ups maybe a quick powder around the 6th hour but overall there was no oiliness which is a big thing for me as lately i’ve developed more of a combination skin type. When applying this product, all you have to do is go through your skincare routine as normal. Before using it, make sure to shake the bottle before using. Spray in an x formation over your face a few times and wait for it to sink into your skin and apply your foundation on top you’ll be amazed at the results! What do you think of this primer? Are you interested in a Spray Primer? I’m obsessed with primers and setting sprays so this is a good post for me!! Thats pretty smart to be honest! i dont know maybe it is the same? I’ve heard so much about this, and it’s good to know that the hype it real! I love the Skindinavia Primer Spray! I have tried their finishing and setting spray as well from b-glowing, great quality products. The primer is definitely my favorite and most used though.